Bioprocess Development Dept., Genetic Engineering and Biotechnology Research Institute (GEBRI), City of Scientific Research and Technology Applications (SRTA-City), New Borg El-Arab city, Alexandria, Egypt. Nowadays, there are many studies reported the mycosynthesis of nanoparticles by using rhizospheric and epiphytic fungi but there are a few reports using endophytic fungi. So the present work focuses on the mycosynthesis of nano-Ag using endophytic Aspergillus fumigatus strain EAF102 that evaluated for its antifungal efficiency. The fabricated nano-Ag was initially detected by the brown color and UV-VIS spectroscopy that showed the nano-silver peak at 450nm. The structural and morphological properties of the nano-Ag/Ag2O were evaluated by SEM, TEM, XRD, FTIR, EDX and TGA analysis. The mycosynthesized nano- Ag/Ag2O reaction was improved via Taguchi approach and increased 3.9 times larger than the basal reaction condition. The optimized fabrication reaction was set up as following: 1mM of the precursor was added to 25% (v/v) of reductant then this mixture pH was adjusted at 8.0 and the incubation temperature was controlled at 600C under shaking condition (250 rpm). A confirmation test resulted in the maximum nano-Ag/Ag2O was 44.295 ± 5.27 g/l and its S/N ratio was 33.51± 4.20 dB that considered as a very good agreement with the predicted results. The high activities of mycosynthesized nano-Ag/Ag2O (11-15 nm) that used as antiphytopathogens were ordered as follows: Alternaria alternate (3.5±0.36), Fusarium moniliforme (2.2±0.45,) Fusarium graminearum (1.5±0.25), Fusarium semitectum (0.58±0.13), Fusarium oxysporum (0.5±0.23), and Phytophthora arenaria (0.45±0.14). Finally, a simple, fast, and eco-friendly method for mycofabrication of nano-Ag/Ag2O by using endophytic Aspergillus fumigatus strain EAF102 was successfully discovered and improved via this study. Keywords: Endophytic Aspergillus fumigatus, Mycosynthesis reaction, Nano-Ag/Ag2O, Antiphytopathogens, Taguchi approach. There are different methods used for the fabrication of nanoparticles such as physical, chemical and biological methods 1,2,3,4. But the disadvantages of physical and chemical methods like using toxic solvents and production the hazard by-product insisted these methods 4,5,6. And the biogenic synthesis of nanoparticles methods produced high-yield, low cost, non-toxic and eco-friendly by-product6,7. The biogenic synthesis of naoparticles by using fungi, algae, bacterial cells and plant extract were used recently as nanofactories 1,2,3,4,5,6. Since the biosynthesis of nanoparticles were controlled by using the natural inorganic bioactive metabolites the produced either intra- or extracellularly 1,2,3,4,7,8. Since polysaccharides, proteins, terpenoids, glycosides, and some enzymes were explored as reducing and novel carriers for the biogenic synthesis of nanoparticles that preventing their agglomeration and stabilization9,10,11. Fungi considered as a proficient myconanofactories due to it can be easily handled in downstream processing, secreted more reductive metabolites (proteins and biomolecules) and fabricated the nanoparticles easily that used in various applications 12,13,14. Recently, the silver nanoparticles were reported as an effective antimicrobial agent 1,2,3,4,15. Endophytic fungi that isolated from healthy plant tissues secreted promising bioactive compounds which used to fabricate Ag-nanoparticles safely 16,17,18. There are few reports have been confirmed the endophytic fungi that able to biosynthesize nano-Ag 3,4. Clearly, these cells are relatively unexplored as nano-Ag biosynthesizer. There are many ways were used recently to control the Ag-nanoparticles size, shape, distribution and strong optical properties such as one-variable-at-time and statistical experimental designs 19,20,21,22. Since the well distributed and unique size and shape nanoparticles have significantly impacted antimicrobial effect 1,2,3. Because of plant diseases the agricultural outcome in Egypt is decreased year after year 4,5,6,7. So the researchers have been expended their efforts to protect the crops especially against phytopathogenic fungi by using alternatives of the synthetic fungicides 9,12,16,20. As nano-Ag has been shown various anti-phytopathogens effects, so it could be utilized with comparative safety for management of several plant diseases 19,22. Therefore, this work has been focused on mycosynthesis of nano-Ag by using endophytic Aspergillus fumigatus strain EAF102. Also the statistical experimental design was applied to optimize the nano-Ag mycosynthesis reaction. In addition, the antifungal efficiency of the mycosynthesized nano-Ag against antiphytopathogenic fungi was studied. Firstly, Aspergillus fumigatus strain EAF102 was inoculated in 500 ml conical flasks containing 250 ml of Sabouraud Dextrose broth (SDB), potato dextrose broth (PDB) or Czapek’s broth medium (CZB) separately 2,3,4. After 72hr of growth at 280C and 150 rpm, the biomass was harvested by filtration and washed with distilled water. The extracellular fraction was collected as an extracellular fraction and the washed biomass was used for preparation of a cytoplasmic fraction. To prepare the cytoplasmic fraction, 10.0 g of washed biomass was mixed with 100 ml of Milli-Q water and boiled for 3 hr then filtered out via suction filtration system. For mycosynthesis of nano-Ag, 10 ml of these fungal fractions were added to 90 ml of 1mM of AgNO3 separately in 250 ml covered conical flask then incubated (400C) and agitated (200 rpm) for 1hr. The fungal fractions were used as a control. By visual observation, the nano-Ag was produced when the mixture color was changed from colorless to dark brown. The obtained nano-Ag were washed several times with distilled water and ethyl alcohol and collected via centrifugation at 12000 rpm for 30 min. Then the washed nano-Ag was dried at 500C for 24hr via hot air oven. There is important analysis were used for confirmation and characterization of the mycosynthesis of nano-Ag like UV-visible spectrophotometer, SEM, TEM, EDX, XRD, FTIR, and TGA. Firstly, the nano-Ag spectrum was scanned by using UV-Vis spectrophotometer (Spectronic 20, Arthur H. Tomas Co., USA) that ranged from 100 to 750 nm. Also the morphological and the crystal size of the prepared nano-Ag were observed via scanning electron microscopy (JEOL JSM 6360LA, Japan) and transmission electron microscope (JEOL JEM2100F- Japan). The chemical composition of nano-Ag was analyzed through the XRD patterns by Schimadzu 7000 diﬀractometer and energy dispersive X-Ray (EDX) analyzer. The crystallite size of nano-Ag was determined by using the Scherrer’s equation 1,2,3,4. To study the functional groups that possibly involved in the fungal extract and the fabricated nano-Ag, the FTIR analysis was carried out by using Shimadzu FTIR-8400 S, Japan. The chemical prospecting for the cytoplasmic fraction was determined to observe the presence of alkaloids, flavonoides, and phenols according to El-Moslamy 1,2,3,4. Also the total carbohydrate content, the amount of protein and nitrate reductase was measured 1,2,3,4. Finally, the thermal properties of nano-Ag were analyzed by using the thermogravimetric analysis (TGA). To improve the mycosynthesis of the nano-Ag process and the final product quality the Taguchi experimental design was set up by using the MINITAB 18 software 1,2,3,4. In this work, the orthogonal array of L16 Taguchi orthogonal array design (4**5) was selected to perform this optimization strategy by using precursor conc, reductant conc, agitation speed, temperature and ph as the tested nano-Ag mycosynthesis factors. A generic signal- to- noise ratio that expressed as a decibel scale (dB) was calculated as the larger is the better” via the reported equation 3,4. An ANOVA analysis was performed to detect the statistically significant factors that effect in the mycosynthesis of nano-Ag. 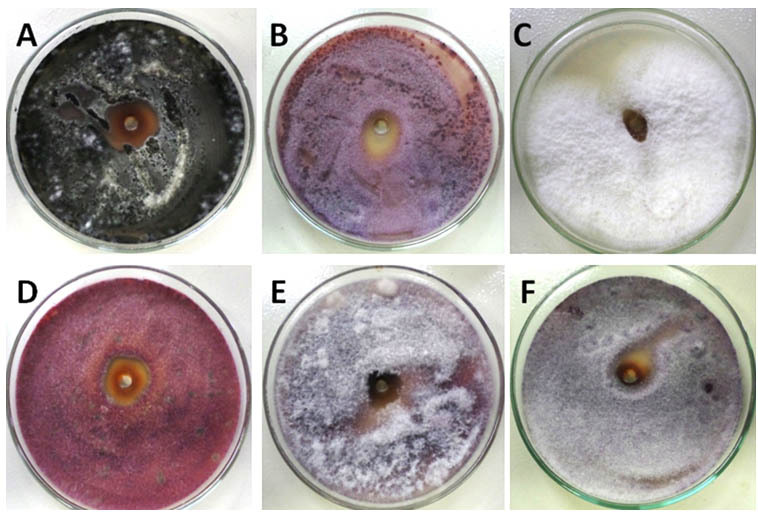 The mycosynthesized nano-Ag (50μg/ml) was tested for their antifungal activity against some phytopathogens “Alternaria alternate (A), Fusarium graminearum (B), Fusarium semitectum (C), Fusarium moniliforme (D), Fusarium oxysporum (E), and Phytophthora arenaria (F) that kindly provided from Bioprocess Development Dept., Genetic Engineering and Biotechnology Research Institute (GEBRI), City of Scientific Research and Technology Applications (SRTA-City), New Borg El-Arab city, Alexandria, Egypt. The inhibition zones were measured by using agar well diffusion method and incubated at 280C for 96 hr 1,2,3,4. These experiments were repeated three times. By using ANOVA analysis and LSD test, either a significant difference or no significance for the results was determined. Endophytes that live within plant tissues have novel bioactive metabolites that applied recently as interesting natural bioactive compounds in agriculture, medicine and different industries 7,8,9,10. Due to their efficiency in the large-scale production of biomass as well as bioactive metabolites makes it a proficient biofactory for nanoparticles fabrication 12,13,14. There is different acceptable eco-friendly green methods were developed recently to fabricate different of nanoparticles (Cu, Mn, Mg, Zn, Ag …etc) by using Nanobiotecnological strategies 19,20,22. These methods used as alternative way to the physical and chemical procedures 4.5,6,7. So the present study focuses on the mycosynthesis of nano-Ag using endophytic fungal fraction that evaluated for its antifungal efficiency. Nowadays, there are many studies reported the mycosynthesis of nano-Ag from rhizospher and epiphytic fungi such as Aspergillus, Fusarium, Penicillium, Trichoderma, and Cladosporium but there is a few reports studied the biosynthesis of nano-Ag by using endophytic fungi 2,3,4.5,6,7. Since these endophytic fungi have the highest growth rate and a rich source of bioactive metabolites for industrial large-scale production 8,9,10,11,12. The fungal growth medium considered as one of the most factors that affecting biomass and bioactive compounds productions that improving the nano-Ag fabrication. So in these screening experiments the best medium and the location of bioactive metabolites were determined by using nano-Ag dry weight as a response as shown in fig.1. The Sabouraud Dextrose broth (SDB) produced higher 11.3 g/l followed by 4.5 g/l of nano-Ag dry weight that recorded by using cytoplasmic and extracellular fractions respectively. So the location of the highest nano-Ag dry weight was recorded at cytoplasmic fraction of the endophytic Aspergillus fumigatus strain EAF102 that grown in Sabouraud Dextrose broth. The changes in the fungal extract to dark brown indicated the synthesis of nano-Ag due to the surface Plasmon resonance (SPR) property of nanoparticles (fig.2B). Also the UV-Vis spectrum was shown at 450 nm that confirmed the production of nano-Ag and compared with cytoplasmic fraction that used as control as shown in fig2A. Finally, the fabricated nano-Ag by using endophytic Aspergillus fumigatus strain EAF102 was initially detected by the brown color and UV-VIS spectroscopy that showed the nano-silver peak at 450nm. Endophytic strain EAF102 were produced different secondary metabolites that play as reducing and capping agents in the mycosynthesis of nano-Ag as shown in the table 1. The qualitative and quantitative analysis of the secondary metabolites that detected into the cytoplasmic fraction of Aspergillus fumigatus strain EAF102 was summarized in the table 1. Since the phytochemical analysis was revealed that the presence of Alkaloids, Flavonoids, and Phenols. And the quantitative determinations for total carbohydrates concentration, protein and nitrate reductase were recorded as 125μg/μl, 5.36g/l and 569.35nmol/h/ml respectively. The shape and the size of the fabricated nano-Ag were analyzed via SEM and TEM micrographs that showed comparatively spherical nanoparticles. Their size was in the range of 11-15 nm as shown in fig.3. The separation between these nanoparticles may be due to capping of protein that explained via UV-Vis spectroscopy record 16,17,18,19. The qualitative and quantitative of the elements that involved in fabricated nano-Ag were detected via EDX spectrum as shown in fig.4A. The typical elemental nano-Ag peak was observed at 3KeV and weaker signals from Ca, C and O atoms are also recorded. Figure 4B showed the XRD analysis that revealed seven diffraction peaks which corresponding to face-centered cubic (FCC) structure of metallic silver and silver oxide (JCPDS file no.00-004-0783). Finally, the thermal stability of the surface composition of the fabricated nano-Ag was analyzed by using the thermogravimetric analysis (TGA) as shown in fig.4C. Since below 4000C, the organic coated cover was removed completely. The actual mechanism that leading to fabricate nano-silver is not understood until now 20,21,22. Some reports revealed that the presence of polyphenols, proteins, carbonyl groups and enzymes may be act as reducing, capping and stabilizing agents that prevent agglomeration and thereby stabilize the fabricated nanoparticles 2,3,4,5,14,19. So FTIR analysis provides the essential information about the active chemical bonds and the molecular structures of possible compounds that covered the fabricated nano-Ag 9,10,11,12,13. In this study, to detect the active groups the FTIR measurements were performed before and after fabrication reaction as shown in fig.5. The peak that detected at 1018 cm-1 that assigned to C-OH (phenols or carbohydrates) might have the ability to reduce the Ag+ to Ag0. The intensive peaks were shown corresponding to proteins, phenols, aromatic – CH, C=O, -CH3, and C-O-C. The broad peaks at 3246, 3340, 3778, 3894, and 3902 cm-1 corresponds to N-H stretching vibrations amines. Finally, the endophytic Aspergillus fumigatus strain EAF102 was secreting mixed bioactive metabolites that act as reducing, capping and stabilizing agents to complete the fabrication of stable nano-Ag. So the endophytic Aspergillus fumigatus strain EAF102 is a very important strain that will use in industrial mycosynthesis of nano-Ag. The efficiency of the mycosynthesis of nano-Ag was enhanced by manipulating the rate of the fabrication reaction 2,3,4,5. This rate was controlled by optimizing some factors such as precursor conc., reductant conc., agitation speed, temperature, and pH that affect not only the fabrication rate but also the maximum nano-Ag yield. There are many reports concluded the optimized fabrication reaction by using one-variable-At-time but a few reports using the statistical experimental design 4,10,12,13,14,15. So in this work, Taguchi experimental design methodology was applied to determine the proficient condition that produced the maximum nano-Ag yield by using different factors and levels (Table2). In this experiment, sixteen trails were set up by using five factors at four levels to calculate the nano-Ag yields and its S/N ratio as shown in the table 3. The resulted data were analyzed via an ANOVA and f-test (table 4). The confidence level (%) and p-value were calculated as shown in fig.5B to detect the significant factors (>95%). So the significant factors were determined in this order: precursor, reductant, and agitation. Based on these analyses the calculating main effect for nano-Ag was used to detect the top rank of the tested factors to produce the highest nano-Ag yield as shown in fig.6A. Since the best fabrication reaction was set up as following: 1mM of precursor was added to 25% (v/v) of reductant then this mixture pH was adjusted at 8.0 and the incubation temperature was controlled at 600C under shacking condition (250 rpm). A confirmation test resulted the maximum nano-Ag was 44.295 ± 5.27 g/l and its S/N ratio was 33.51± 4.20 dB that considered as a very good agreement with the predicted results. Finally, the mycosynthesized nano-Ag by using optimized condition was improved via Taguchi approach and increased 3.9 times larger than the basal reaction condition. Multiple R, 0.98, R Square, 0.96, Adjusted R Square, 0.94, Standard Error, 1.2, *Signifcant values, df: Degree of freedom, SS- sum of squares, MS- mean square, F: Fishers’s function. In this report, the antifungal activities were studied by using mycosynthesized nano-Ag that produced from endophytic Aspergillus fumigatus strain EAF102. The highly activities were ordered as following: Alternaria alternate (3.5±0.36), Fusarium moniliforme (2.2±0.45,) Fusarium graminearum (1.5±0.25), Fusarium semitectum (0.58±0.13), Fusarium oxysporum (0.5±0.23), and Phytophthora arenaria (0.45±0.14) as shown in fig.7. The higher antifungal activities are probably due to nanoparticles size, shape, charge, elemental composition and state of aggregation 18,19,20,21. Since nano-Ag that used as an eco-friendly antifungal agent was applied to damage the mycelia growth of phytopathogens 2,3,4,5. There are several theories were suggested to explain the mode of action for nano-Ag as antimicrobial agent such as damaging the fungus membrane, accumulating in cell nuclei that may death the microbial cell 16,17,18,19,22. Until now its mode of action was left open 11,12,13. Finally, a simple, fast, and eco-friendly method for mycofabrication of nano-Ag by using endophytic Aspergillus fumigatus strain EAF102 was successfully discovered and improved in this study. The author acknowledges the Bioprocess development department, Genetic Engineering and Biotechnology Research Institute (GEBRI), City of Scientific Research and Technological Applications (SRTA-City), New Borg El-Arab, Alexandria, Egypt for funding the activities presented in this study. They also recognize the valuable technical help of the Central Laboratory, Advanced Technology and New Materials Research Institute, City for Scientific Research and Technological Applications, Alexandria, Egypt. EL-Moslamy H. S., Bioprocessing strategies for costefective large-scale biogenic synthesis of nano-MgO from endophytic Streptomyces coelicolor strain E72 as an anti-multidrugresistant pathogens agent. Rep. 2018; 8, 3820. EL-Moslamy, H. S., Shokry, H. H., Rezk, H. A. and Abdel-Fattah R. Y. B S and Characterization of Anti- Multidrug Resistant Human Pathogens Copper/Copper Oxide Nanoparticles from Citrus Peel Waste Extracts. J Nanomater Mol Nanotechnol.2017; 6(1). EL-Moslamy, H. S., Kabeil, S. A. S. and Hafez, E. E. Bioprocess development for Chlorella vulgaris cultivation and biosynthesis of antiphytopathogens silver nanoparticles. J Nanomater Mol Nanotechnol. 2016; 5(1). EL-Moslamy, H. S., Elkady, F. M., Rezk, H. A. and Abdel-Fattah, R. Y. Applying Taguchi design and large-scale strategy for mycosynthesis of nano-silver from endophytic Trichoderma harzianum F4 and its application against phytopathogens. Sci. Rep.2017; 45297. Singh T., Jyoti K., Patnaik A., Singh A. Chauhan , and Chandel S.S. Biosynthesis, characterization and antibacterial activity of silver nanoparticles using an endophytic fungal supernatant ofRaphanus sativus. J. of Gen. Eng. and Biotech. 2017; 15, 31-39. Joseph B., and Priya M. R. Bioactive Compounds from Endophytes and their Potential in Pharmaceutical Effect: A Review. American Journal of Biochemistry and Molecular Biology, 2011; 1, 291-309. Sunkari S., and Nachiyar C. V. Endophytic fungi mediated extracellular silver nanoparticles as effective antibacterial agents. Int J Pharm Pharm Sci, 2013; 5(2), 95-100. Magdi M. H., Mourad H. E. M., Abd El-Aziz M. . Biosynthesis of siliver nanoparticles using fungi and biological evaluation of mycosynthesized silver nanoparticles. J. Exp. Biol. (Bot. ), 2014; 10(1), 1 – 12. Silva, E.M.S. ; Silva, I.R. ; Ogusku, M.M. ; Carvalho, C.M. ; Maki, C.S. ; Procópio, R.E.L. 2018. Metabolites from endophytic Aspergillus fumigatus and their in vitro eﬀect against the causal agent of tuberculosis. Acta Amazonica , 2018; 48, 63-69. Netala R. V., Kotakadi S.V., Bobbu P., Gaddam A.S., and Tartte V. Endophytic fungal isolate mediated biosynthesis of silver nanoparticles and their free radical scavenging activity and anti microbial studies. 3Biotech, 2016; 6,132. Qian Y., Yu H., He D., Yang H., Wang W., Wan X., and Wang L. Biosynthesis of silver nanoparticles by the endophytic fungus Epicoccum nigrum and their activity against pathogenic fungi. Bioprocess Biosyst Eng. 2013; 36,1613–1619. Rathna S. G., Elavarasi A., Peninal S., Subramanian J., Mano G., Kalaiselvam M. Extracellular Biosynthesis of Silver Nanoparticles by Endophytic Fungus Aspergillus terreus and its Anti-dermatophytic Activity. International Journal of Pharmaceutical & Biological Archive,s 2013; 4(3): 481 – 487. Manogaran S., Krishnan N., Senthilkumar S. V., Manivannan S., Veerababhu V., and Kannan P. K.Green synthesis of silver nanoparticles and their antimicrobial property of endophytic fungi isolated from Mentha arvensis and Psidium guajava L. J. Chem. Pharm. Res., 2015; 7(9), 340-346. Sandhu S.S., Shukla H., and Shukla S. Biosynthesis of silver nanoparticles by endophytic fungi: Its mechanism, characterization techniques andantimicrobial potential. J. Biotechnol.2017; 16(14), 683-698. Elgorban A.M., Aref S.M., Seham S.M., Elhindi K.M., Bahkali A.H., Sayed S.R., Manal M.A. Extracellular synthesis of silver nanoparticles using Aspergillus versicolor and evaluation of their activity on plant pathogenic fungi. Mycosphere, 2016; 7(6): 844–852. Devi S. L., Bareh A.D., and Joshi R. S.Studies on Biosynthesis of Antimicrobial Silver Nanoparticles Using Endophytic Fungi Isolated from the Ethno-medicinal Plant Gloriosa superba L. Proc. Natl. Acad. 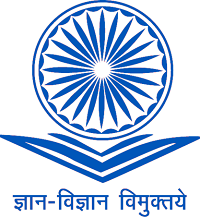 Sci., India, Sect. B Biol. Sci. DOI 10.1007/s40011-013-0185-7. Xue B., He D., Gao S., Wang D., Yokoyama K., and Wang L. Biosynthesis of silver nanoparticles by the fungus Arthroderma fulvum and its antifungal activity against genera of Candida, Aspergillus and International Journal of Nanomedicine, 2016; 11, 1899–1906. Ratnasri P.V. and Hemalatha K.P.J. Biological Synthesis of Silver Nanoparticles from Aspergillus fumigatus. American Journal of Advanced Drug Delivery.2014; 2(6), 741-751. Devi S. L., Joshi R. S. Ultrastructures of silver nanoparticles biosynthesized using endophytic fungi. Journal of Microscopy and Ultrastructure, 2015; 3, 29–37. Manju B., and Arya V. Biological aynthesis of silver nanoparticles from aqueous extract of endophytic fungus Aspergillus fumigatus and its antibacterial action. International Journal of Nanomaterials and Biostructures, 2013; 3(2): 37-41. Zomorodian K., Pourshahid S., Sadatsharifi A., Mehryar P., Pakshir K., Rahimi J. M., and Monfared A.A. Biosynthesis and Characterization of Silver Nanoparticles by Aspergillus BioMed Research International, 2016, Article ID 5435397. Sandhu S. S., Kumar S., and Aharwal P. R. Isolation and identification of endophytic fungi from Ricinus communislinn and their antibacterial activity. IJRPC 2014; 4(3), 611-618.